Crafting the perfect look for every occasion is a task we are truly passionate about at RMINE. 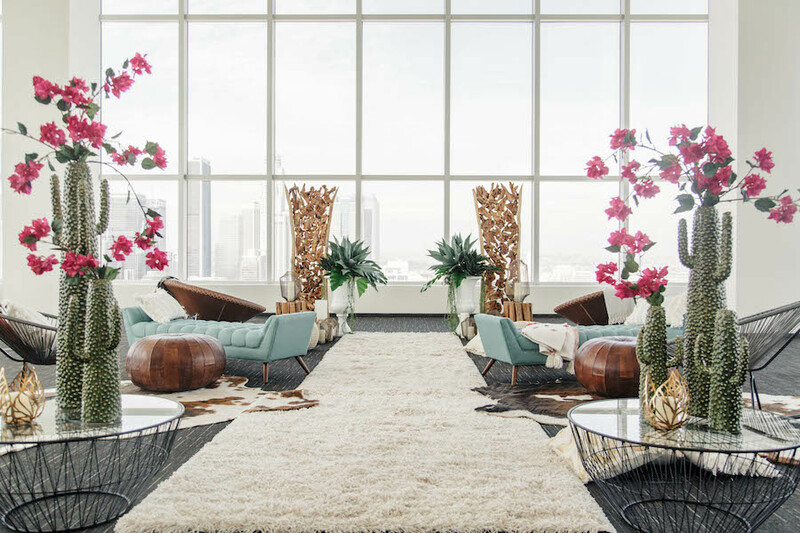 Recently, The Lynden Lane Co approached us about contributing our designs to a three-part inspirational shoot in Downtown LA at City View Penthouse South Park Center. We are thrilled to share that this inspiration has been featured on Strictly Weddings. With three complete looks and RMINE original gowns we will be spotlighting each one individually. 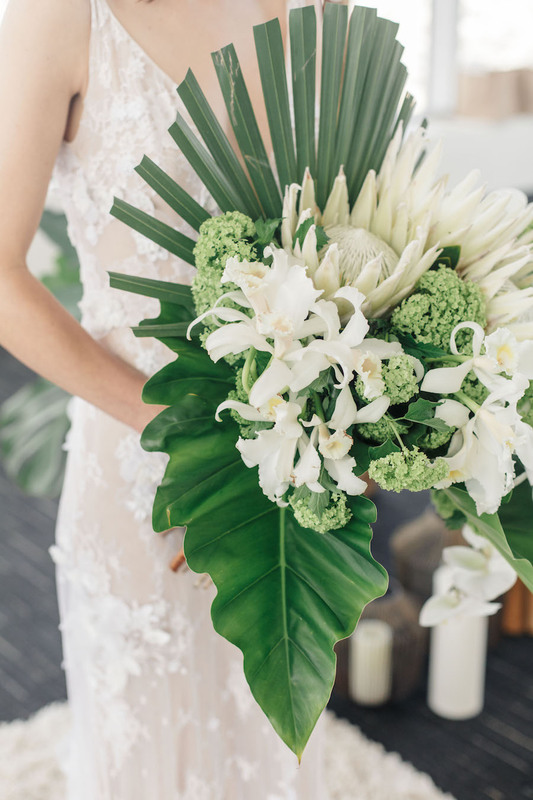 First we are sharing our gown to pair perfectly with this indoor tropical-desert boho ceremony. With a deep v-neckline and hand cut lace, this gown added a softness to the sharp textures of the tropical details. 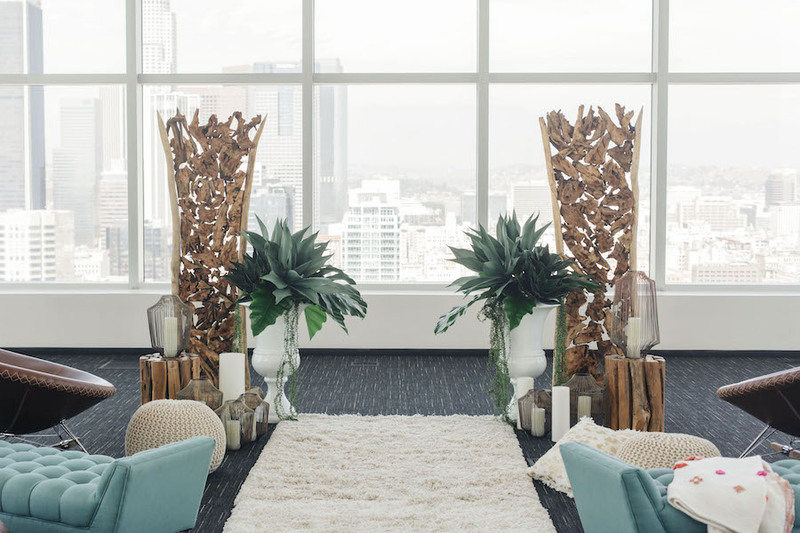 "From the minute designer, Keith J Laverty saw the City View Penthouse South Park Center with the Patina Group he knew he wanted to do a styled shoot showcasing the space and the magnificent views the space boasts. As is often the case with a blank slate and creative minds gathered together the options are endless. 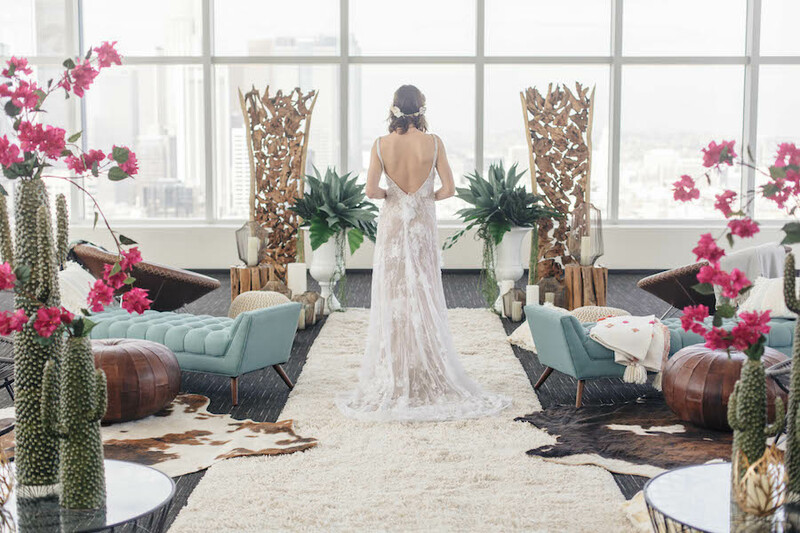 Partnering with The Lynden Lane Co this team created three unique styles for the space showcasing three drop-dead gorgeous RMINE gowns. It’s modern made magical thanks to the lens of Molly + Co that you can see all right here in the gallery."